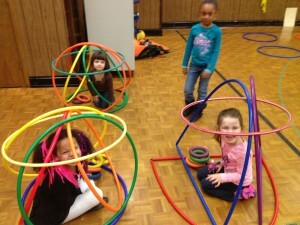 Hawley is a unique and innovative recreation program for children ages 4-12 enrolled at Hawley Environmental. Designed for the convenience and benefit of the elementary school family, Camp Hawley offers before- and after-school activities on a daily basis. It is open from 7:00 a.m. until school starts and from the end of the school day until 6:00 p.m. Camp activities include homework help, sports, games, computers activities, arts and crafts, field trips and more. Camp Hawley’s mission is to provide a safe and healthy supervised recreational enrichment environment for children during the school year. The camp is child-centered and benefits each child emotionally, physically, socially and educationally. Qualified adults staff Camp Hawley, sharing the philosophy that all children can learn and that quality recreational experiences help support the educational goals of MPS. We provide the students with a safe place for before and after school activities including, but not limited to, homework support, tutoring, art projects, interactive group games, music activities, Aquaponics club, and much more. – Students are now charged to the minute rather than for a full hour. Instead of being charged for a block of time we are now breaking it down to about $0.08 a minute. This is beneficial to parents/guardians because you will be charged the actual time your student is in the program and not for a larger block of time. – Payments can be money, check, or money order made out to Camp Hawley. – Payments must be made ahead of time. – Payment is $5.00 an hour with prorating to the minute. For example, if a child arrives at 7:30 and the school day starts at 8:45 the account will be charged $6.25 for 1 hour and 15 minutes. If you have any further questions or concerns please contact Mr.Delaney or Ms.Mitchell at 256-8500 or via email at delanema@milwaukee.k12.wi.us and/or mitcheae@milwaukee.k12.wi.us. Mad Science will be returning to Camp Hawley after school for the 2017-2018 academic year. Mad Science is NOW OFFERING – A NEW Series of in-class coding workshops for Hawley 3rd-5th grade students on Tuesdays from 3:50-4:50pm during Camp Hawley. Kids learn and apply the basic principles of coding in a fun and educational game-like environment! Don’t miss out on these amazing classes that will help build a better future for your students! This is a great opportunity for students to participate in some hands on science experiments. Remember that in order to participate in the program students must be part of Camp Hawley.